Residential gigabit provider Hyperoptic today announced that it has secured £100 million in funding. UK network connectivity has received a major boost after residential gigabit provider Hyperoptic announced that it has secured £100 million in funding. 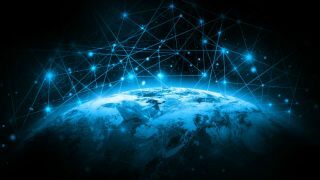 The funds, which came from a consortium of four tier one European banks – BNP Paribas, ING, RBS and Dutch investment bank NIBC, will be used to further build its full fibre network. The full fibre network is currently available in 28 cities and town in the UK, reaching 350,000 residential homes and business units. With the new funding, Hyperoptic hopes to reach two million homes by 2022, and five million by 2025. Hyperoptic has its own Fibre-to-the-Premises (FTTP) network, allowing it to offer broadband speeds of up to 1,000Mbps. According to the company’s press release, it has been growing its network reach by over 100 per cent for the last three years in a row, installing 20,000 kilometres of dedicated cable. “We have a 4* Trustpilot rating; the highest in the industry” Dana Tobak continued.